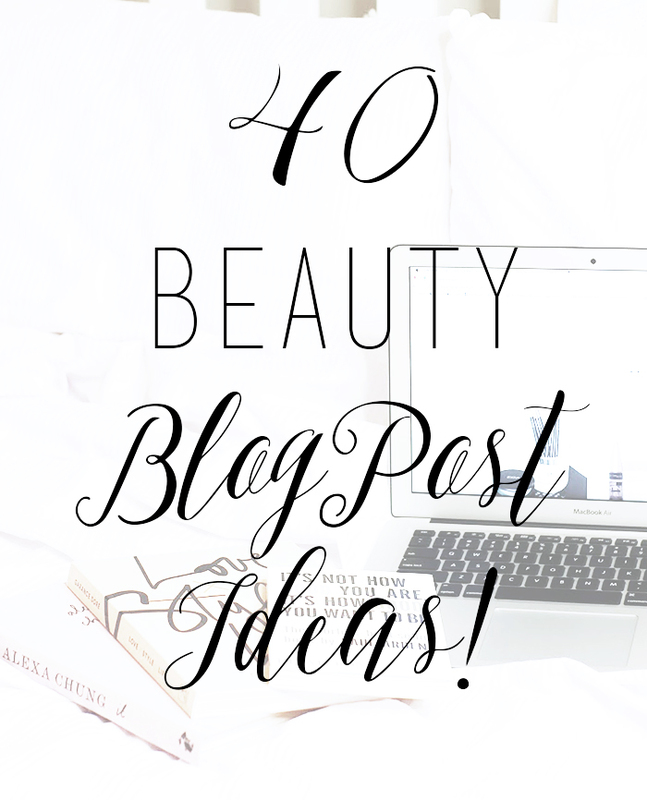 40 Beauty Blog Post Ideas! 13. Beauty Wish List - See here. 17. Technique Tutorial; Strobing, Contouring etc. 29. Best Of Budget Beauty - See here. 37. Evening Skincare Routine - See here. 38. Monthly Favourites - See here. I hope this helped spark some inspiration for you guys. I love reading posts like these when I'm in an inspiration rut as it rekindles that little blogging flame and allows me to develop certain ideas and put my own twist on them! Do you have any blog post ideas that I've missed?